Registration closed! See you next year! Register online at Speedy-Feet.com before Saturday, September 12th to guarantee yourself a BLC 5k 2019 t-shirt. Adult registration is $27, and kids under 8 are free to register (with a $1 processing fee); however, no t-shirt is included for kids. 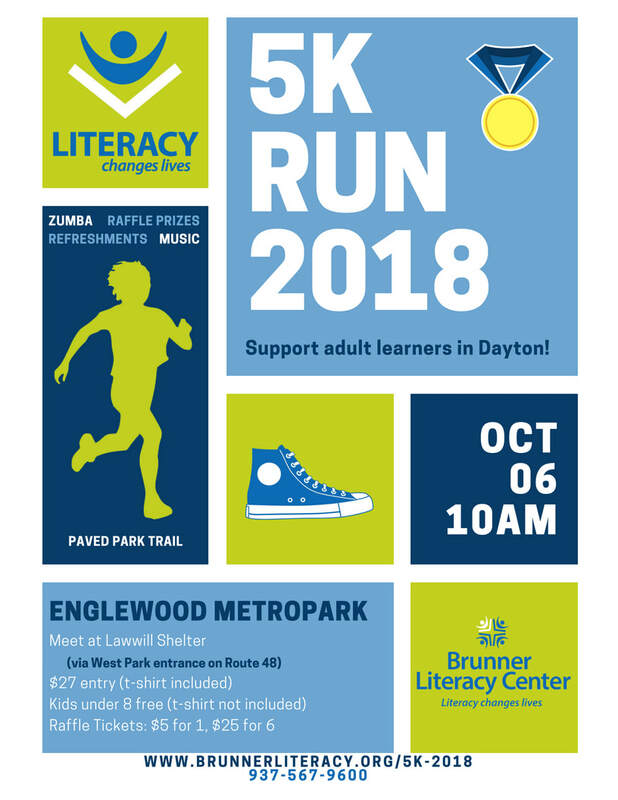 2019 marks the Brunner Literacy Center's 7th annual 5k to promote adult literacy education in Dayton! 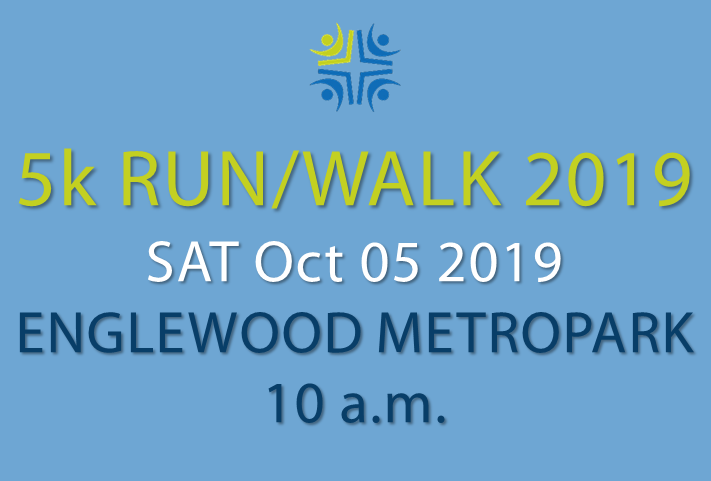 Join us at 10:00 a.m. on Saturday, October 5th to walk, jog, or run our certified 5k course through beautiful Englewood MetroPark's West Park to celebrate the joys of literacy, health, and community. 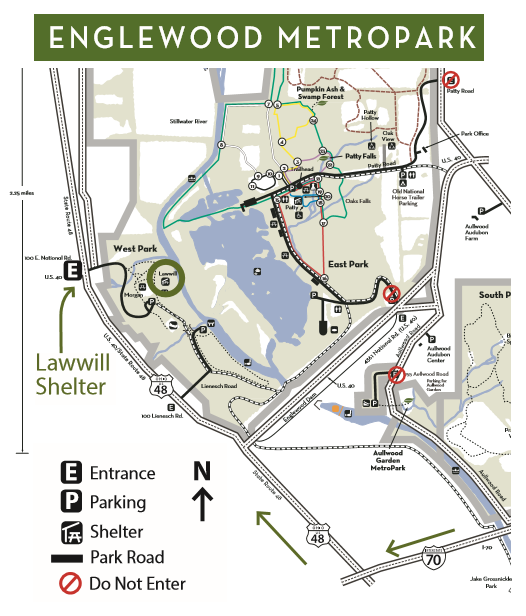 Our course begins and ends at the Lawwill Shelter, indicated by a green circle on the park map shown here. Plan to arrive 45 minutes early to check in at the registration table, get something to eat or drink, join in some pre-race exercise, listen to music, and visit with friends. From I-75, take Exit 61. Merge onto I-70 West, and take Exit 29. Turn right onto OH-48 and go for 1.7 miles. Turn right at the Main St. Park Entrance, where National Rd branches west. Continue for 0.5 mile to the Lawwill Shelter, and check in at our registration table! Using your smart phone to navigate to the park? Click the map below, and let Google do the rest! At the end of the race, we like to give away some goodies. Raffle prizes include cash awards of $500, $300, and $200. On top of that, some of our friends and sponsors donate other goodies to be given away. Past years' prizes have included restaurant gift cards, gas station gift cards, fitness classes, fresh produce from A. Brown & Sons Nursery, and more! Each 5k participant gets one free raffle ticket with registration. Additional tickets can be purchased at $5 for one (1) ticket and $25 for six (6) tickets. Tickets can be purchased in person at the BLC, online, or at the race site before the 5k. You do not need to be present to win. All proceeds benefit the BLC. To purchase tickets online, visit our donation page. Make sure to include a comment that indicates the number of raffle tickets you wish to purchase AND in whose name we should put the tickets. Want to spread the word? Download, print, and share our 2019 flyer below! Support adult learners in Dayton! 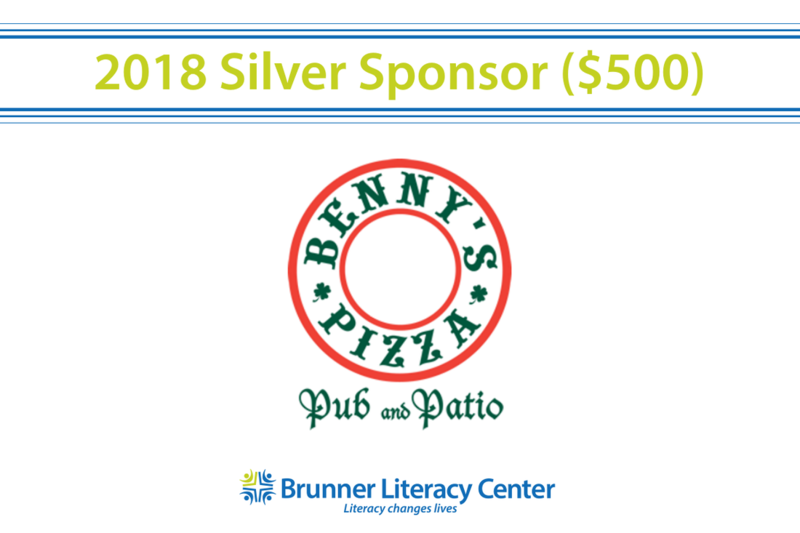 The Brunner Literacy Center needs your help. By sponsoring the BLC's biggest fundraiser of the year, you provide learning materials to adult students, professional development and training to their tutors, and financial support to the offices and staff members that keep the Center running. Please help us continue to provide free, individualized tutoring services for adults who want to gain the skills they need to make a better life for themselves, their families, and their communities. 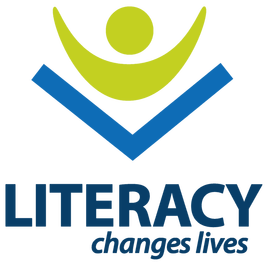 Check out the Literacy Facts page of our website to learn more about the effects of low literacy skills. ​A more literate Dayton benefits us all! Sponsorship packages and benefits are outlined below. "The 2019 BLC 5k Presented by (Your Group's Name Here)"
Check back in here throughout the summer and fall to see our fundraising progress! The businesses, organizations, families, and individuals listed here have provided generous gifts of funding for our 7th annual 5k. We show our appreciation, in part, by identifying them here, on Facebook, on our 5k banner at the race, and on the back of the 2019 5k t-shirts. We also encourage friends of the BLC to support these groups. 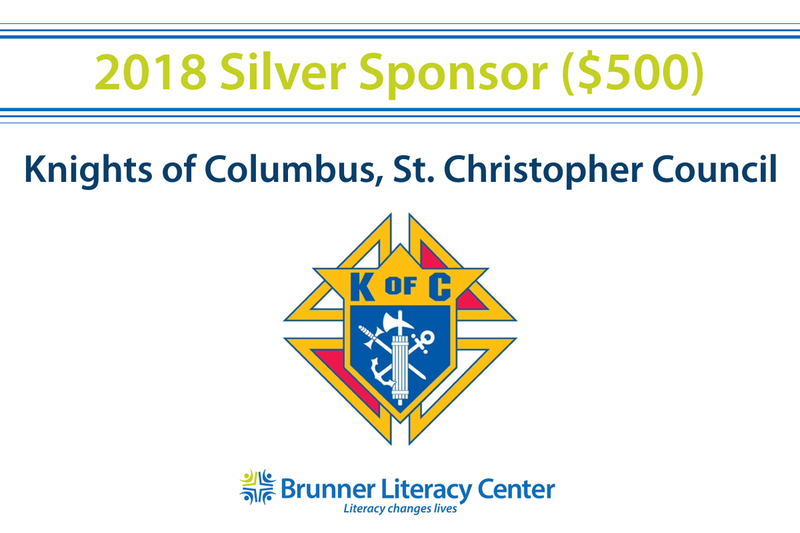 If you are interested in sponsoring this event either as an individual/family or through your business/organization, call the BLC at 937-567-9600 and ask to speak with Christina.